iNet - explore your network! With iNet you know exactly what's going on! Find out about security risks and keep your network under control. 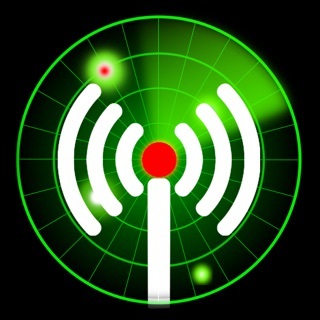 Is someone using your wifi without your knowledge? This easy to use App outlines a computer network even to the unexperienced user. Know which devices are connected to a network and which services are running! Are there ports opened for communication with the outside world? 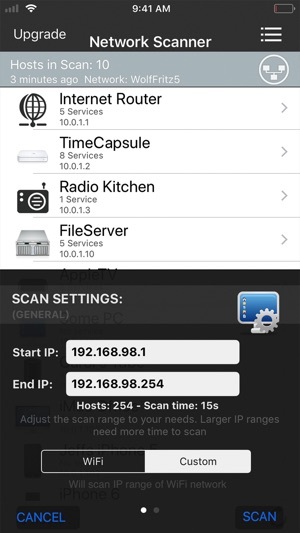 Find out with iNet network scanner. You will get a profound answer. 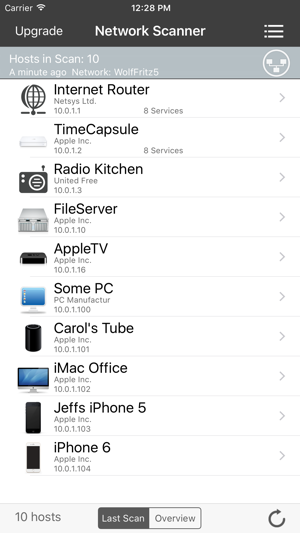 iNet shows the devices connected to your local network, for instance computers or routers, along with their name, IP and vendor (Name and vendor not detectable since iOS 11). 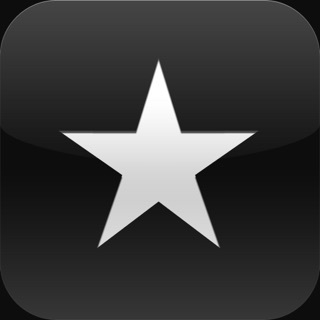 Most Apple devices are displayed with their correct icon. iNet scans on a very low level and shows even hidden devices. P.s. : iNet is the little brother of iNet Pro. This free version of iNet offers the same sophisticated network scan engine as the Pro version. And you can easily update to iNet Pro from within iNet if you want to use its full feature set. You find a convenient link under the "i" tab. And - have a good time! This helps track down problems and saves time. Time is money! Right now I don't have the pro version but I do plan on getting it if it ever goes on sale. It's extremely accurate and provides information that other apps do not. I would recommend this for anyone setting up or keeping track of your network! Assigning an image was a basic feature of this app for years. They now made it a "pro" feature, i.e. they want you to pay for something that was free, and gave you nothing in return. One star forever, my new feature. Hello iphonereviewer#2, greetings from BananaGlue. 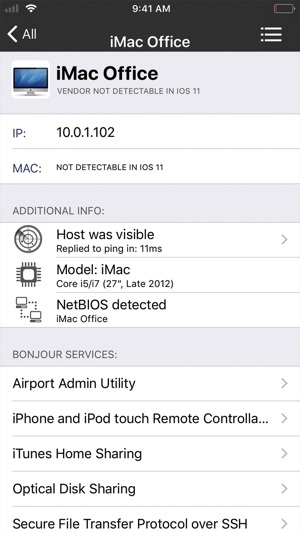 Since the release of iOS11 Apple does not allow to extract MAC addresses. Therefore it was no longer possible to (re)identify devices. So assigning or changing pictures, renaming, making notes or showing network history was not possible anymore. So we removed these features from iNet in the past and reduced the price. Changing icons was always a feature of iNet Pro, not of the free version of iNet. In the 3.3 release we (re)identify devices by a combination of IP and part of the device name, so we could reimplement those features at least partially. And we set the price back to its original value. Pricing of iNet is a one time fee, no subscription. So if you installed the free release of iNet and did update to the pro release you don't have to pay a penny for our work. Just update to the current release. So - why do you complain and rate iNet with one star?